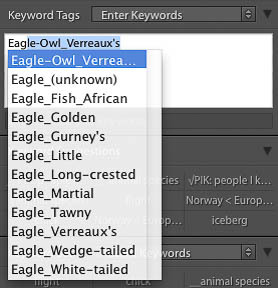 I maintain a large keyword dictionary in my Lightroom catalogs (with thousands of different keywords), and use these in various ways: to categorise images, to find images of specific animals/people/subjects, to note which filters (e.g. C-PL) were used (this feeds back into the ways I process some images), and even to manage the keywording process itself. This is just a short note about one of my recent tweaks to the system. The keywords are arranged in nested groups. Sometimes it’s to simply group them together, and sometimes it’s to take advantage of the ability to inherit other keywords. As an example, consider the image of a Wedge-tailed Eagle at the top of this article. 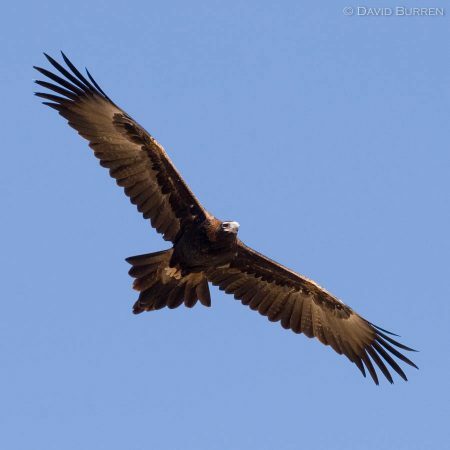 Two of those are “internal” keywords (denoted by the leading underscores), leaving two important keywords: Eagle_Wedge-tailed and flight. But when the image gets exported/published it ends up with a different list! This is where one of my recent changes comes in. For a long time I had animal names as keywords in their “normal” format (e.g. “Wedge-tailed Eagle”). With all the keywords in the library, as you start to type “Wedge…” Lightroom will try to save you some time by presenting a list of possible keywords. In that case it would include the Wedge-tailed Shearwater. Only two keywords is a small list, but you can imagine how long the list was when typing “Australian…” (more than 25, as it happens). Not very efficient at time-saving, especially as Lightroom wasn’t able to display the whole list of suggestions. So I simply turned the keywords around. Now it’s “Eagle_Wedge-tailed”, and as I start typing “Eagle” I get shown a list of all the other Eagles in the dictionary. 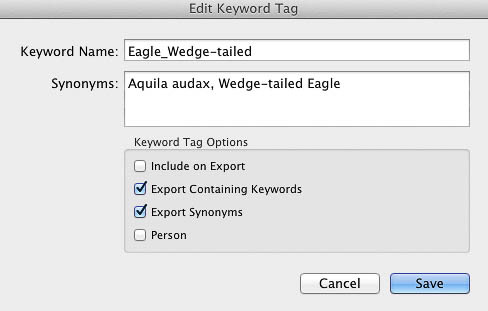 And due to the position of this keyword in the dictionary hierarchy (and the synonyms of its parent keywords) the other keywords such as “bird”, “eagle”, “accipitriformes”, and “raptor” are automatically added to the exports. Of course there’s a lot more to my keywording system, with a reason behind every design choice. So this is just a start. I recently updated some other parts of the system to take advantage of some new Lightroom 6/CC features, but the parts I’ve shown here also work in earlier Lightroom versions. With over 200,000 images in my library changing the keywords without losing anything was a little bit of work, but at least it was only counted in hours and not days. It’s improved the speed of my workflow enough that I’m more than happy it was worthwhile. Maybe this idea of reversing keyword text will help you in your own keywording system.